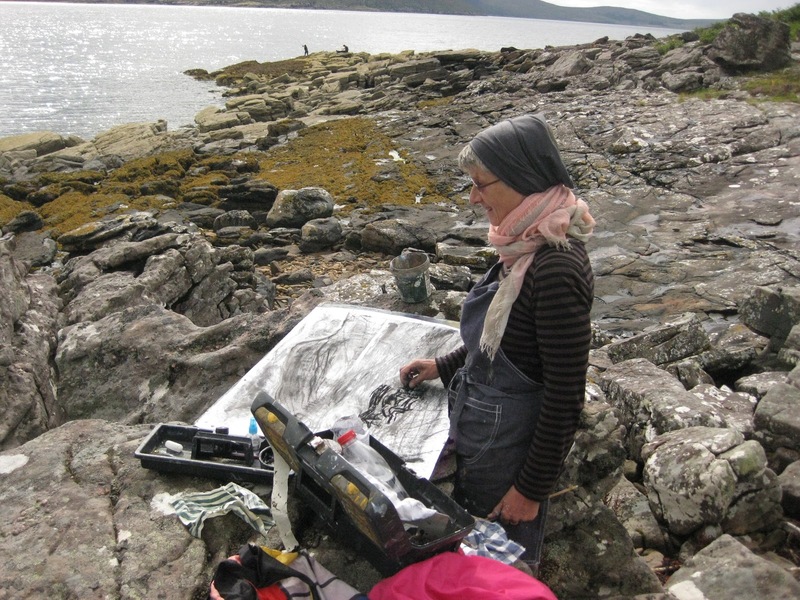 Bridge House Art has been providing students of all abilities, the opportunity to visit, explore and record the dramatic and challenging landscape of the North West Highlands of Scotland for over twenty years. Since 1995, students of all ages and abilities have relished the challenges and rewards that this stunning area offers and have captured the essence of what makes this place special, through visual art. The school offers a range of courses: weekend, evening, summer school weeks, travelling workshops and a full -time winter portfolio course. 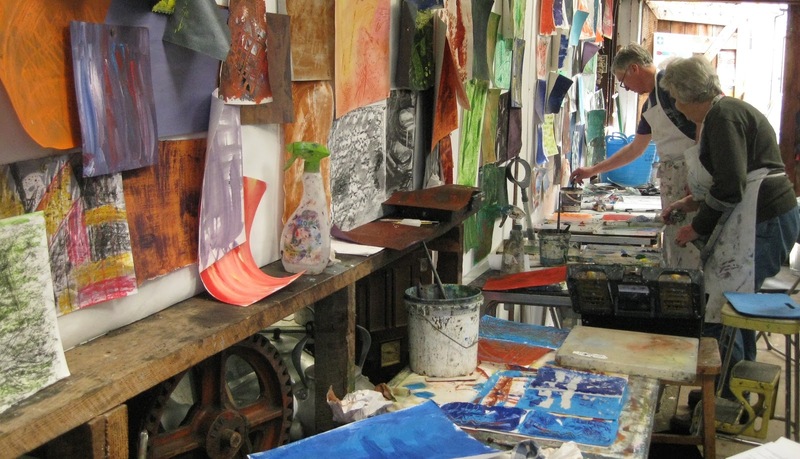 The summer school runs from the end of June through to the beginning of September and offers a wide variety of week-long contemporary courses in drawing, painting, printmaking, mixed media landscape painting and artists books. The courses, in general, take their inspiration from the landscape. They are underpinned by a framework where observational drawing, learning to look and the development of ideas, are explored in a supportive and constructive atmosphere. To take advantage of the location and the dramatic landscape, most summer school courses will be based outside at least fifty per cent of the week, giving students the chance to explore the landscape in many innovative ways. Every year we invite visiting tutors to contribute to our school programme, thus extending the range of courses on offer. Each course has a different theme and focus and is delivered by a wealth of experienced and inspirational tutors. A unique aspect of the courses at Bridge House Art, is that we provide ALL materials, lunches (except portfolio course) and refreshments: students can just arrive in their old clothes and concentrate on being creative! 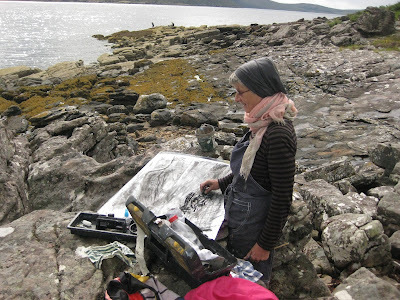 It is as exciting for students that return each year, as it is for the student who has never visited, to sit in the landscape with the task to look and draw afresh. Everyone is encouraged by new challenges and directions; allowing each student to gain a greater depth of understanding as they approach their work. Slide lectures begin most courses to inspire us on our journey as we begin to explore the fundamentals of line, tone, shape and colour. Themes are used to explore various media ensuring a focus and direction to study. 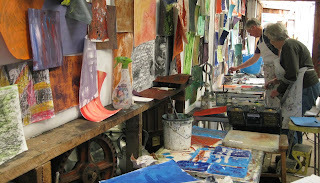 Time in the studio is used to develop work and explore different media at greater depth. The studio kitchen is also a place to eat lunch, enjoy the company of fellow students and to talk over the day's work in a relaxed and supportive atmosphere. Our shorter weekend courses are generally offered during the spring and autumn months, with our winter portfolio course starting in late October, running through to early March. All school courses run from 9.30am - 4.30pm, Monday to Friday. All materials and equipment are supplied, with a simple lunch provided daily (unless otherwise stated). It is important to wear old clothes as art is a messy business. Be prepared and dress for the Highland weather, expect sun and rain, four seasons have been experienced in one day! Outdoor, waterproof clothing is essential.